Given a list of genes, identify all the interacting genes and the druggabilities of these interactions. 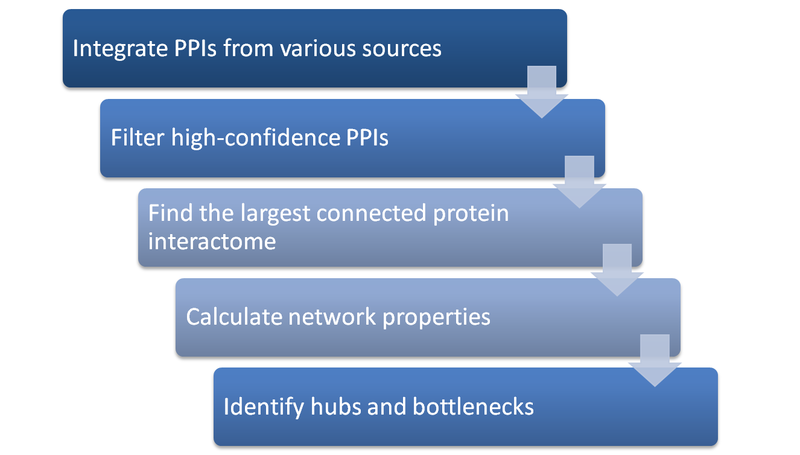 Hub is defined as the top 10% of the nodes in the high-confidence protein interactome ranked by node degree (the number of interactions that are associated with a given node). Bottleneck is defined as the top 10% of the nodes in the high-confidence protein interactome ranked by betweenness centrality (the fraction of all the shortest paths in an interactome that pass through a given node). The process how TargetMine identifies hubs and bottlenecks. High-confidence PPI here implies that the interaction was validated by more than 2 experiment methods or reported by more than 2 publications. Check the references for the application and more details.